plastic film recycling | Silver Python Machinery Co., Ltd.
Use for plastic film recycling, PP film recycling, PP bag recycling, LDPE recycling machine. Double stage or singe stage. It include cabinet,plastic granulator machine extruder,water cooling tank,blower,plastic cutter machine,crushing machine is option. Plastic film recycling own high compression design of the screw and conical structure,increase output and power saving. 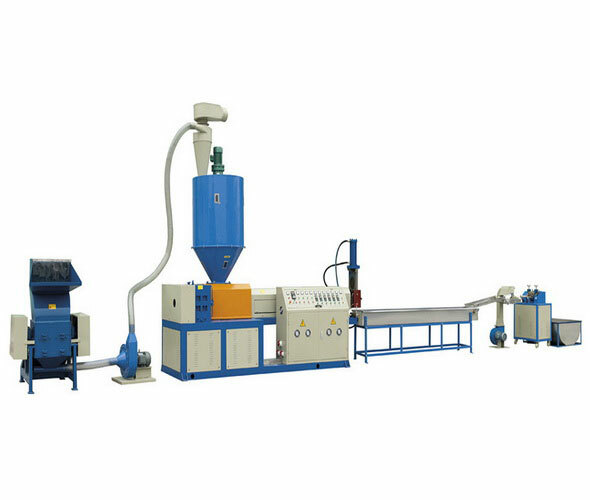 According to the detailed plastics,double stage PP film recycling extruder can be adopted. Option type:with conveying belt,with sprial loader,with water ring hot cut. This set is single stage ,made up of single screw extruder,water cooling tank,blower, plastic cutting machine.And can add convey belt,crusher,agglomerator,mixer,dewatering machine,plastic storage according to customers different demands.